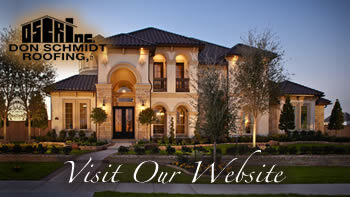 Home » Don Schmidt Roofing Blog » Cleaning Your Gutters Is Very Important Especially After A High Wind Storm. Many Central Florida homeowners may wonder how necessary it really is to clean their gutters. Many sources of debris will clog your gutters and prevent water from passing safely down the gutter system where it can be then dispersed into the lawn below. Gutters being clogged with leaves, small branches and roof shingle granules can mean water is suspended over the roof where it can cause roof leaks or even bug infestations. During termite swarming season, these moist and non-moving packs of debris can be a haven which can lead to costly damage by theses vicious pests. Cleaning your gutters regularly can make each cleaning a simple job and prevent much more expensive and frustrating gutter problems a reality. Many people will agree that gutter cleaning is imperative and should be part of scheduled home maintenance, but they may not know when their gutters truly need to be cleaned. The typical times that gutters need to be cleaned are throughout the autumn season, when leaves and branches fall from the trees, and in spring or early summer as the heavy rain and wind season approaches. Anyone who has lived through an active hurricane season in Osceola County or any part of Central Florida realizes that water builds up quickly in gutter systems and needs to flow quickly into the lawn surface away from the home foundation. However, if you are seeing any signs of gutter problems, immediately plan to clean your gutters. Before you begin the process of cleaning out your gutters, keep in mind that gutters are not designed to withstand your weight or aggressive cleaning tools. Instead, be sure to keep your weight off the gutters, and be as gentle as possible throughout the cleaning process on the gutters and downspouts. Your gutters simply cannot support the full weight of a person on a ladder. If your gutter fasteners are more than 2 feet apart, a ladder will put pressure on the material and potentially damage the gutter. Be sure that your step ladder is on stable ground and don’t step above the second rung from the top as typically noted on step ladders. Also, regardless of the ladder you use, be aware of power lines and always avoid them throughout the gutter cleaning process. Whenever possible and when safe, access the gutters via the roof itself. Often in Central Florida accessing the gutters from the roof makes the cleaning process safe, efficient and effective. Again, be careful when near to the house electrical power lines. Bring a water hose up the ladder and place it on your roof or hang it from your ladder. This should make the cleaning process quick if possible. Also, grab a pair of waterproof gloves. Gutters can have sharp edges that can cause harm easily during the cleaning. Always use great care when cleaning your gutters. Take your time and you’ll bring your house gutters to a clean and effective place for the upcoming Central Florida weather.